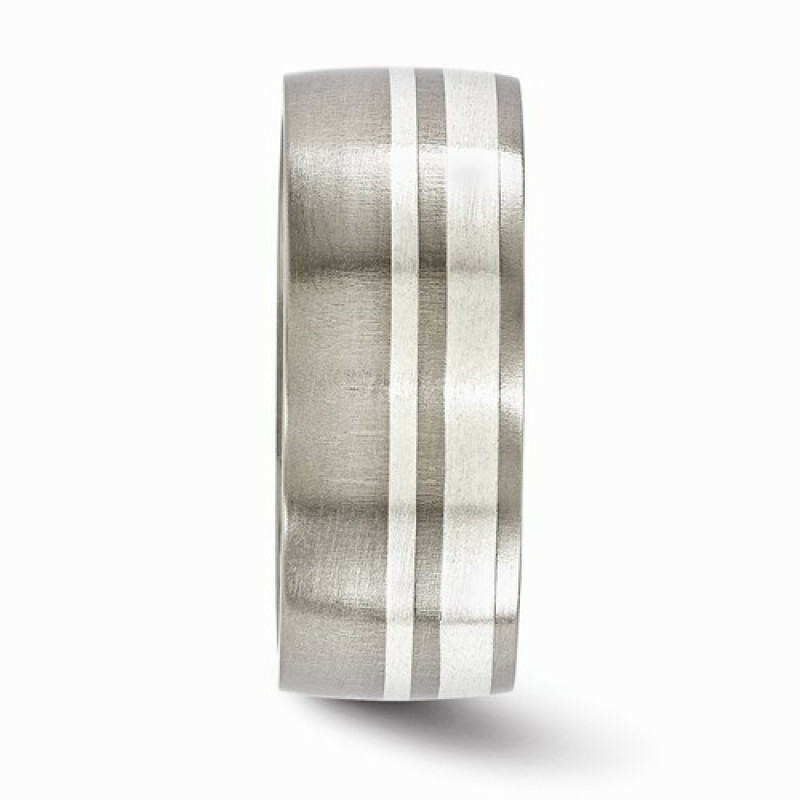 This is an amazing titanium and sterling silver brushed finish 9mm band. 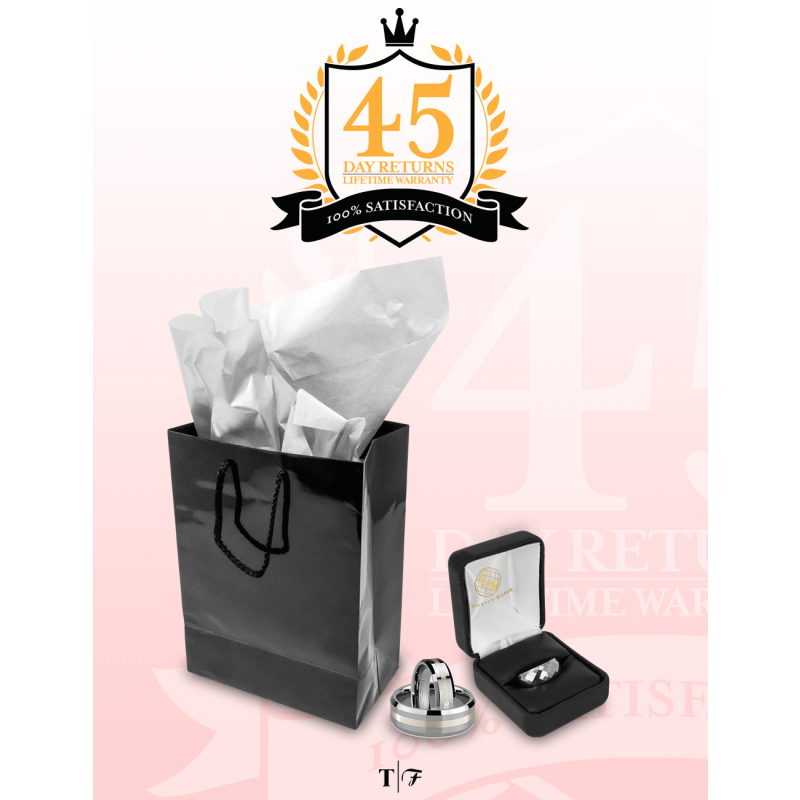 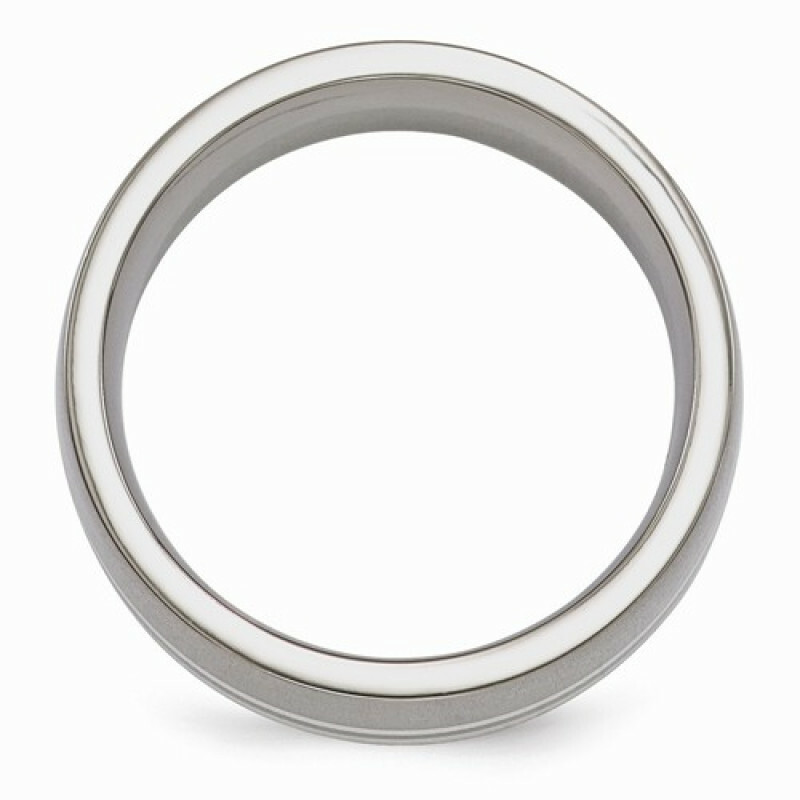 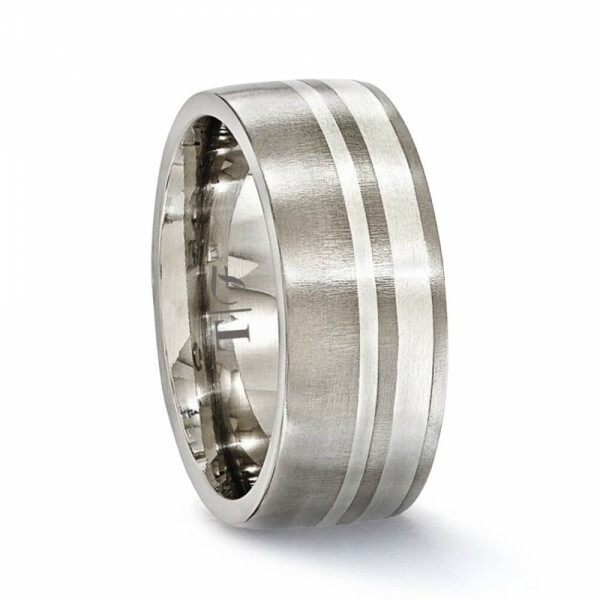 It can be worn as a wedding band or as a men's fashion ring from that special someone. This Titanium band definitely gives your ensemble that extra presence.